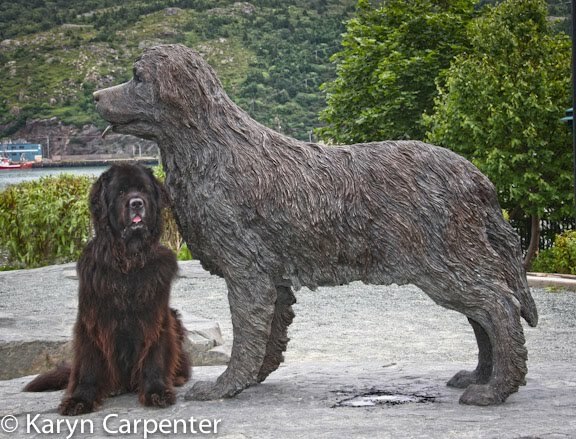 Photos: St. Johns Newfoundland has two larger than life-sized Newfoundland Dog statues which pay tribute to the Newfoundland breed and its use on the island. But what I REALLY like about that statue is that there is a puddle under it that looks like the statue had an accident! Or, marked his rock. 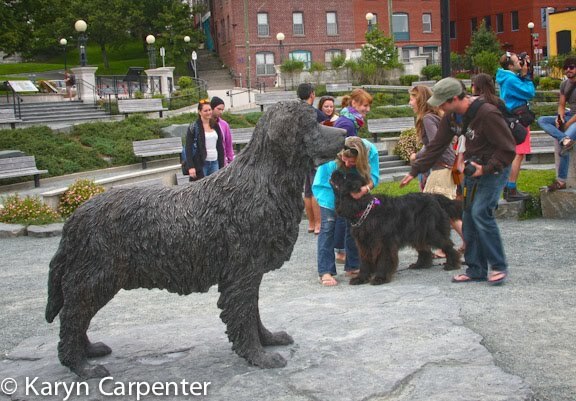 Princess & Tank sound the alarm whenever they see a statue. Princess has to touch it with her tongue before she realizes it's not a threat.